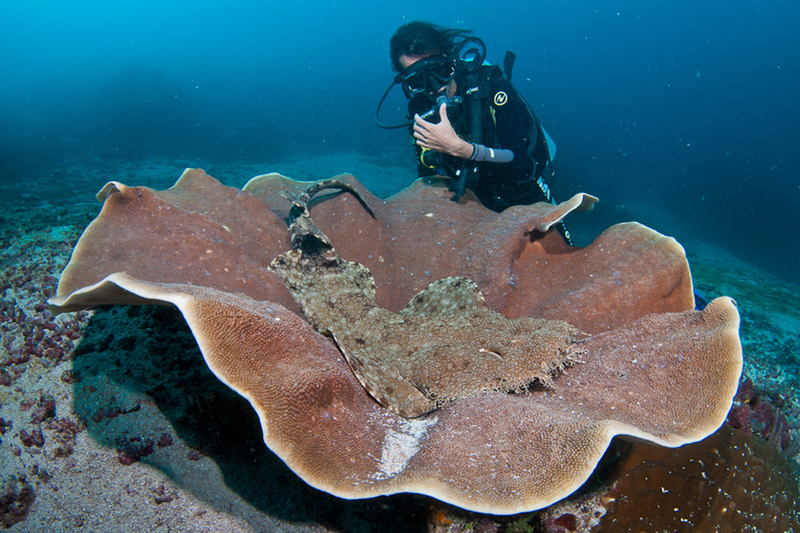 Indonesia is massive and as an island nation with over 17,000 islands it has scuba diving galore. And with diving comes the chance to see some incredible sea critters that you might not find anywhere else in the world. 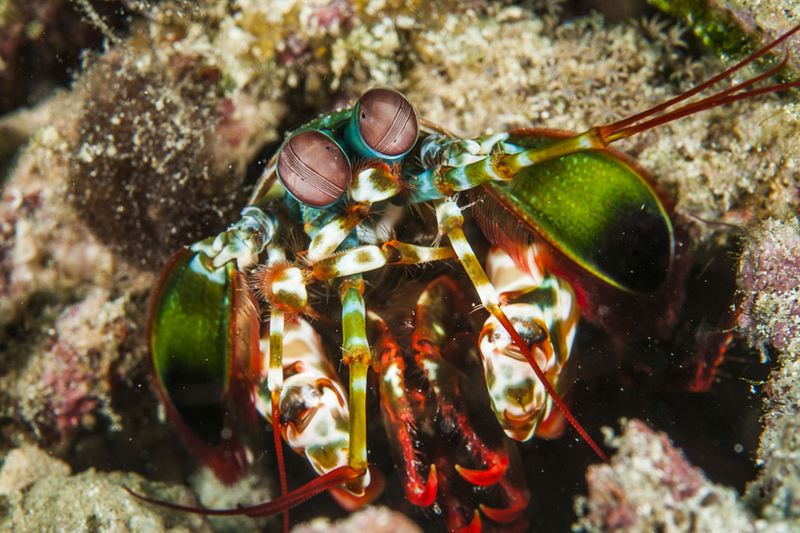 If you’re looking for marine life, you can add these critters to your checklist to look out for while diving in Indonesia. I thought we might as well start big and work our way down. 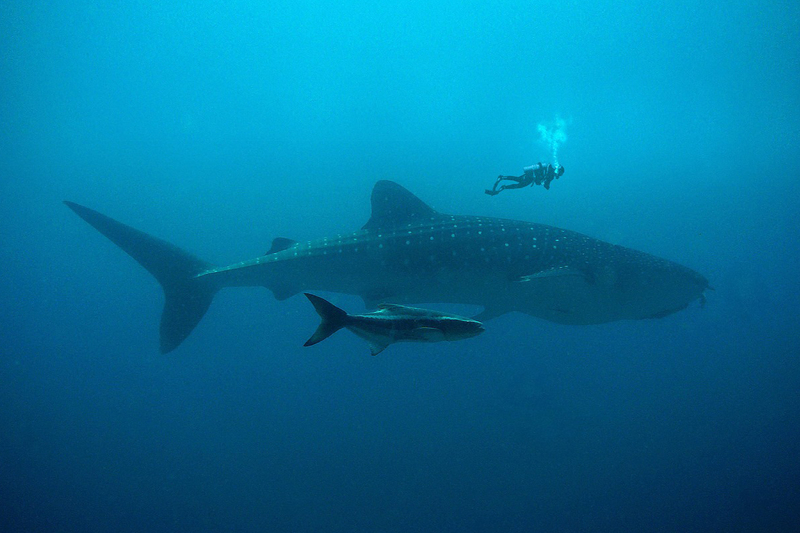 Whale sharks are the largest known fish species and can weigh in at a massive 21.5 tonnes. These magnificent creatures aren’t to be feared though. They are actually very gentle and graceful in the water, making them beautiful to dive with. You can find whale sharks in Raja Ampat, Bentar in East Java, and there have even been sightings off Nusa Penida Island in Bali. 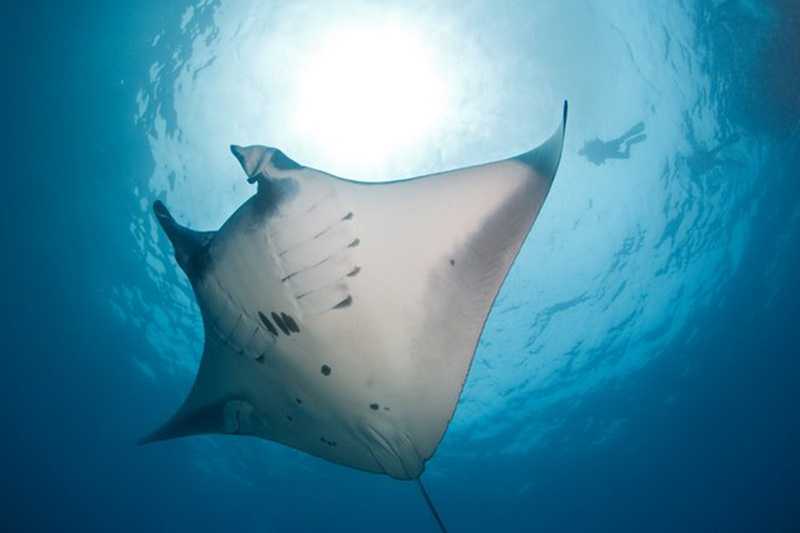 Manta rays are one of the animals that most divers dream of swimming with. Their grace and beauty in the water is unparalleled. Mantas are found in many places around Indonesia, but one of the most beautiful places to see them is around Nusa Lembongan and Penida, Bali. From Lotus Bungalows Candidasa these islands are only around 30 minutes by boat, so are ideal for divers on the look out for mantas. 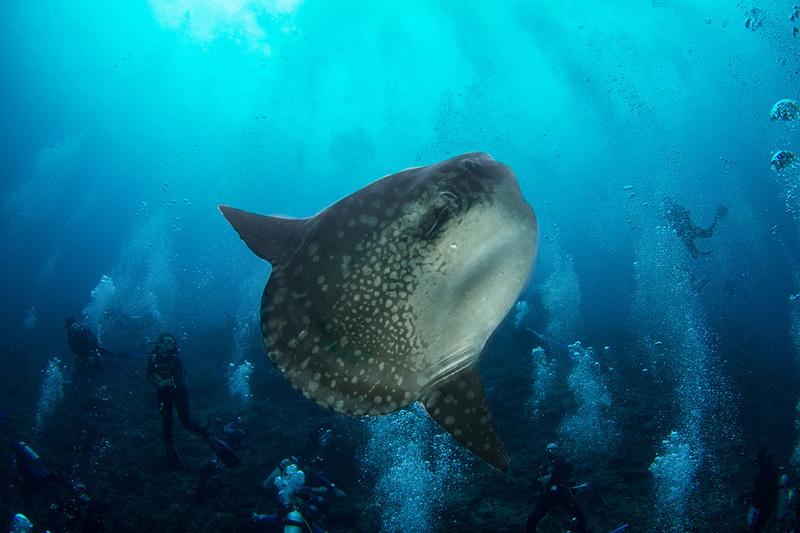 You can read all about it in Diving With Manta Rays in Bali. 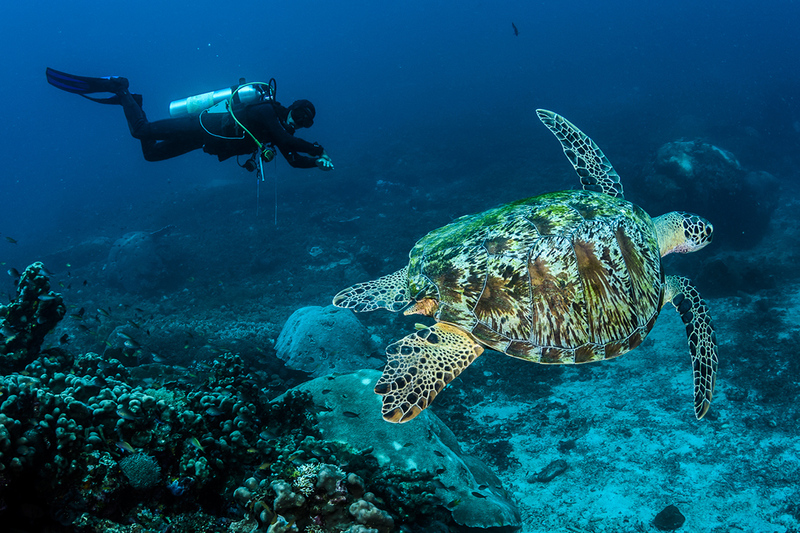 When you think of the clear blue water of Indonesia, you must also see the sea turtles that swim idly through them. There are only seven types of sea turtles and six of those can be found in Indonesia. The Gili Islands in Lombok are well known for being home to a large population of green turtles, and Gili Trawangan in particular. Just off of the beach in front of Villa Almarik is the very best place to snorkel with green turtles, and you can also dive with them a little further out. 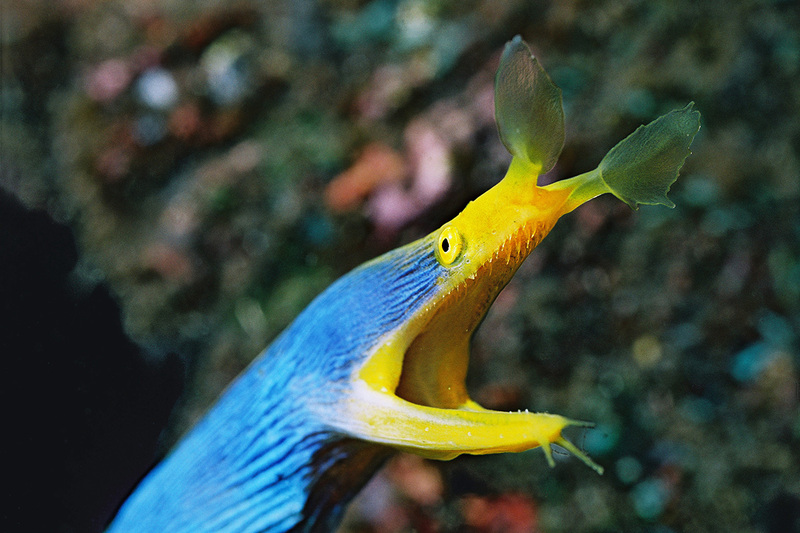 If you’ve ever seen a video of a ribbon eel, you’re sure to want to see one in real life. The way they undulate in the water is truly a beautiful sight. They come in all different colours, most notably neon blue and yellow. They are sighted all over Indonesia, but are often seen on dives around Gangga Island Resort & Spa, the Lembeh Strait and Bunaken Marine Park, all in North Sulawesi. Found only in Indonesia and Malaysia, the wonderpus is one of the most fantastic of all octopus species. It’s latin name isn’t Wunderpus photogenicus for no reason. It was only recognized by scientists in 2006 and is especially notable for its ability to camouflage itself on almost any surface to escape becoming a tasty meal. Banded Sea Kraits are one of the most lethal creatures in the oceans, with venom 10 times as strong as a rattlesnake. It might be a little scary to think about diving with such poisonous sea creatures, but banded sea krait bites are extremely rare. They are non-aggressive and 99% of bites have been due to fishermen catching them in nets and trying to free them, or not knowing they were there. Banded sea kraits can be found all over Indonesia so keep an eye out wherever you’re diving. This octopus is both the smallest octopus in the world and also the only poisonous species. If this wasn’t enough to claim its fame, it also has some of the most beautiful markings of any octopus species. The blue and black rings change colour and almost flash when the animal is threatened. 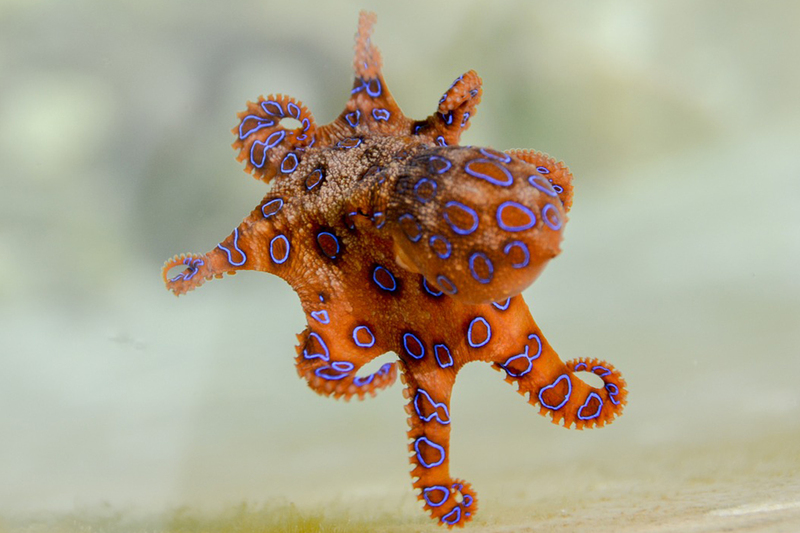 The blue ringed octopus is quite common in Indonesia but can be very difficult to spot. These brightly coloured little fish are a pleasure to dive with. Apart from their colouring they also have an amazing mating ritual that few divers will ever see. 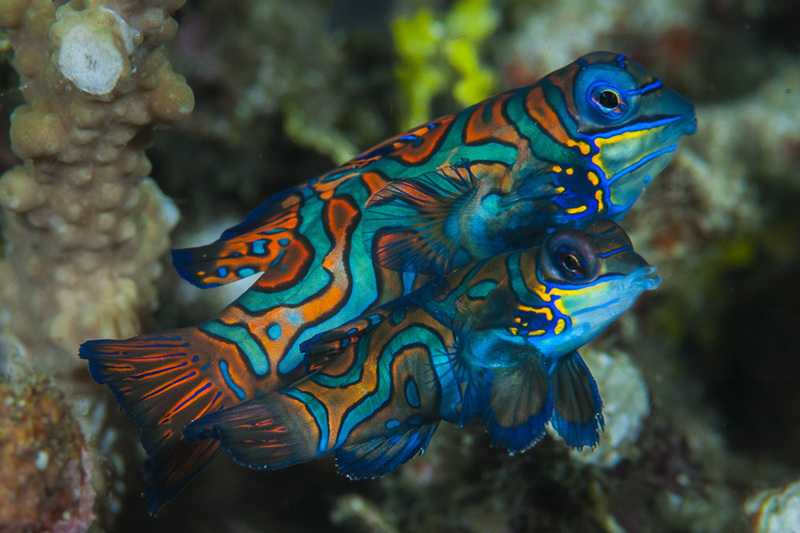 Luckily, Gangga Divers at Gangga Island Resort & Spa have daily dive trips to neighboring Lihaga Island where divers can watch the incredible mating dance of the mandarinfish. This strange combination of a seahorse and a pipefish is another odd critter for you to tick off your list in Indonesia. They are found all over Indonesia but are pretty fantastic at camouflaging themselves so you have to really look for them. Underwater photographers are huge fans of nudibranchs thanks to their huge variety of shapes and colours. 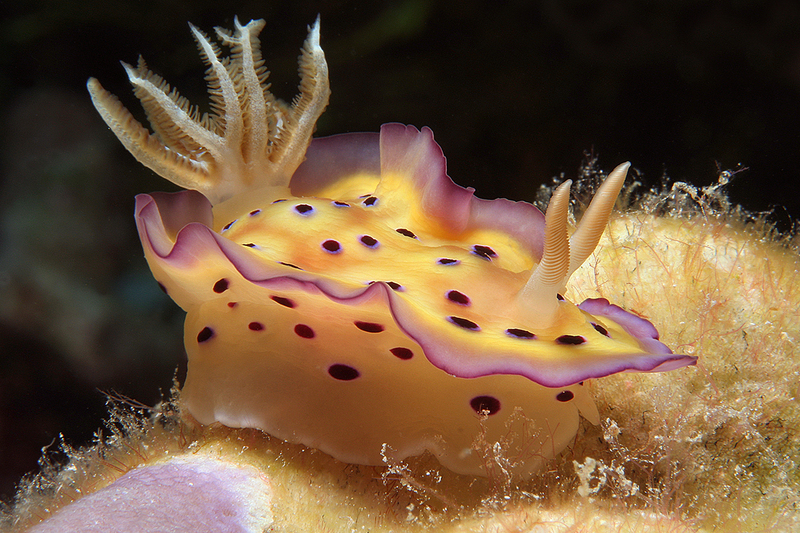 There are over 3000 species of nudibranchs and more being discovered all the time. 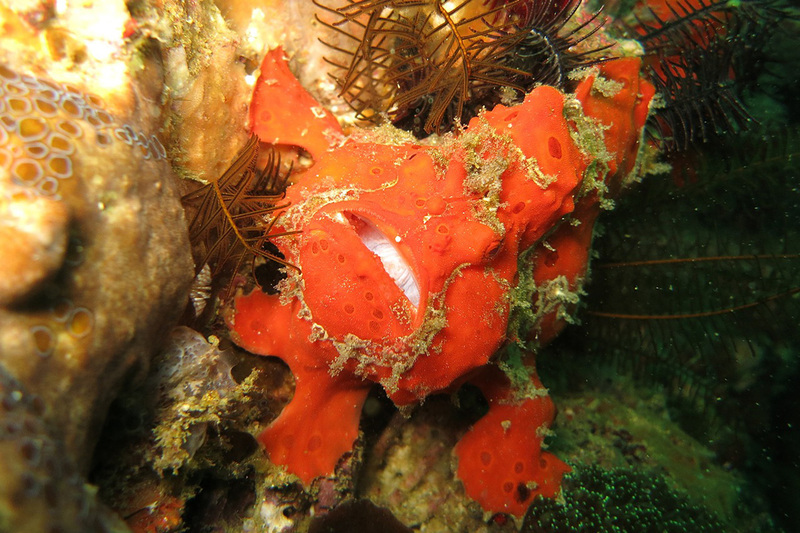 Muck diving is best to find nudis and Amuk Bay just close to Lotus Bungalows Candidasa is one of the best muck dives in Bali. This is the perfect place to start your search. These colourful critters are a treat to come across when you’re diving. They are often found poking out of a hole in rock or rubble waiting for a tasty snack to pass by. However, divers beware, these shrimp aren’t as gentle as they look. They can actually swing their arms around and can throw a punch hard enough to injure a diver or even crack a camera lens! And finally, one of the very teeniest critters in the sea. 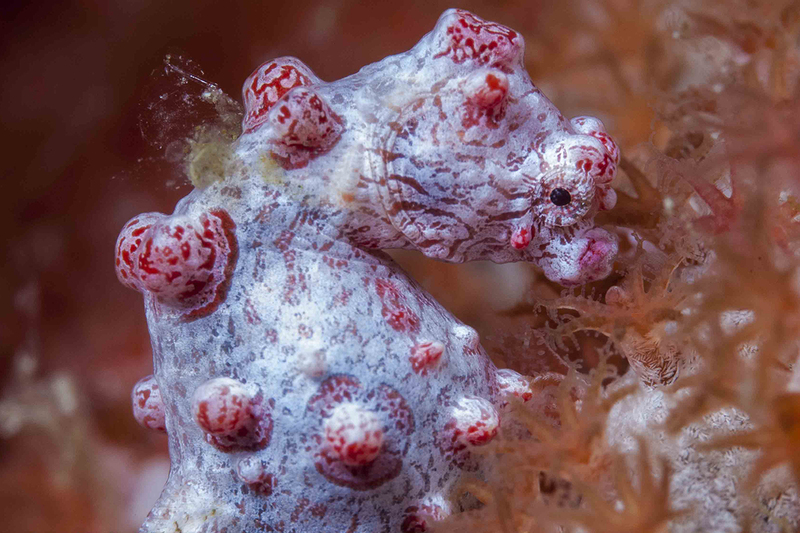 There are many species of pygmy seahorses in Indonesia, none more than around 1.7cm in length. This makes them one of the trickiest species on this list to find and extremely difficult to photograph as well. However, if you do spot one you’ll never forget it because their size is truly mindboggling! Have you added all these critters to your list? There are many, many more to see but these are just 15 to start off with. 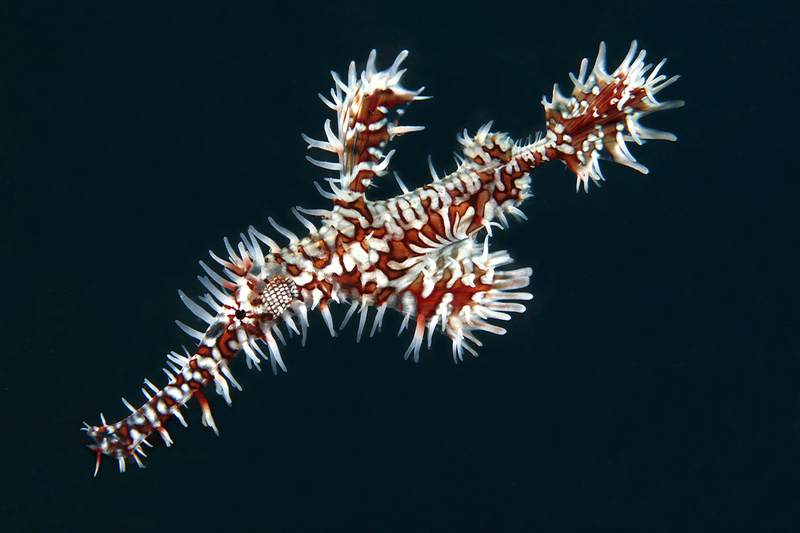 Which marine creature is number one on your list? We’d love to know in the comments below.